Hypertensive emergency, which is formerly referred as malignant hypertension, is a medical emergency wherein the blood pressure is so high to the point that it is actually causing damage to one or more organ system, particularly the cardiovascular system, nervous system, renal system and/or the eyes. Hypertensive emergency is more uncommon and is more severe than an ordinary hypertension. Even though all high blood pressure can damage arteries, that damage progresses slowly over many years. With malignant hypertension, severe damage occurs over weeks or even less and can result in irreversible damage. It is not just how high your blood pressure is, but how fast it goes up. Hypertensive emergency is a serious condition as the word emergency means “needs immediate care and attention”. If addressed immediately, you can prevent long term complications. However, if left untreated, severe damage can occur quickly damaging your eyes, heart, arteries, brain, kidneys and spleen. Hypertensive Urgency Vs Hypertensive Emergency. In contrast with hypertensive emergency, urgency is severely elevated blood pressure (systolic over 220 mmHg or diastolic over 120) with no evidence of end organ damage. Hypertension does not usually cause any signs and symptoms, but very high blood pressure does. In hypertensive emergency, blood pressure can go as high as more than 220 mmHg systolic and 130 mmHg diastolic. Symptoms include chest pain, headache, difficulty of breathing, shortness of breath, fatigue, blurring of vision, numbness in one or both extremities, weakness of one or both extremities, nausea and vomiting. Signs include decrease urine output, papilledema, seizure and stupor. These signs and symptoms are not specific to malignant hypertension. These can be caused by other medical conditions. Patients with malignant hypertension can lead to a condition known as hypertensive encephalopathy. Symptoms include headache, blurring of vision, anxiety, confusion, stupor and seizure. Malignant hypertension damages the small arteries in our body called the arterioles. These arterioles are vital since they distribute blood to all over our body. Arterioles anywhere in our body can be affected, but most vulnerable in the eyes, kidneys and the brain which are almost commonly worst affected. In particular, the kidneys are very sensitive to high blood pressure and may quickly develop into kidney failure if not addressed immediately. Malignant hypertension also causes swelling of the optic nerve called papilledema which can dangerously lead to blurring of vision and even blindness. The causes for hypertensive emergency are multifactorial. Non-compliant with antihypertensive medication is one of the main causes. In addition, autonomic hyperactivity; drug use like stimulants, MAOI and birth control pills; head trauma; kidney disease; collagen-vascular disease (e.g scleroderma); neoplasias (e.g. tumor of the adrenal gland); renovascular hypertension; spinal cord injuries, preeclampsia and ecclampsia all can contribute to hypertensive emergency. 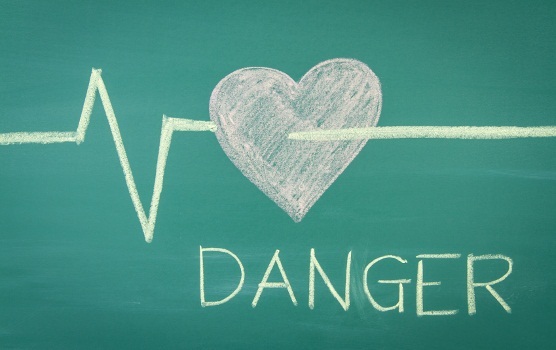 Uncontrolled blood pressure leads to progressive or acute damage of the end organs. Therefore, it is very important to lower the blood pressure aggressively. However, excessively rapid lowering blood pressure in the emergency room is usually not necessary or is even harmful in hypertensive patients. The initial goal in the management of high blood pressure is not to obtain a normal blood pressure, but to attain a progressive but controlled reduction in blood pressure to reduce the risk of acute blindness and/or cerebral, coronary and renal hypoperfusion leading to ischemia. The recommended is that the initial reduction in mean arterial pressure or MAP should not be more than 20-25% below the pretreatment blood pressure within 24-48 hours. If the patient is clinically stable and tolerates this level of blood pressure, further gradual reductions toward a normal blood pressure can be done over the next 12-24 hours. Mean arterial pressure or MAP is defined as the average arterial pressure during one cardiac cycle. It is calculated as [(2 x diastolic)+systolic] / 3. In the treatment of hypertensive Emergency, there are several classes of antihypertensive agents with the choice depending on the etiology of the crisis, the severity and the usual blood pressure of the patient before the crisis. No clinical trials exist comparing the efficacy of various antihypertensive agents in the treatment of malignant hypertension. Drugs are chosen based on their onset of action, ease of use, special precautions, contraindications and convention. The most commonly used intravenous drug is sodium nitroprusside. This can be used in patients with acute pulmonary edema and/or severe left ventricular dysfunction. Sodium nitroprusside has an immediate onset of action and is given at 0.5 ug/kg/min, increase to a maximum of 8-10 ug/kg/min. This is contraindicated in patients with high output cardiac failure and should be used with precaution in patients with renal insufficiency. In addition, sodium nitroprusside requires special handling to prevent its degradation by light. A major concern in using sodium nitroprusside is its metabolism to cyanogens and thiocyanate and thus should only be administered in selected circumstances and with close monitoring. In patients with renal disorders, cyanide poisoning may occur. An alternative for patients with renal insufficiency is intravenous fenoldopam. It is a dopamine agonist and is highly specific for DA1 receptors only. It is short acting and has an onset of 5 minutes. Fenoldopam has a unique effect of providing systemic vasodilation, particularly the renal system, thus having the advantage of increasing renal flow, sodium and potassium excretion and creatinine clearance making it an attractive agent among hypertensive patients with renal insufficiency. Other preferred agents include nicardipine, esmolol, labetalol. Esmolol is an ultra short acting agent with an onset of 1 minute. This cardioselective, beta-adrenergic agent is useful in treating severe postoperative hypertension. It is also used in patients whose cardiac output and heart rate are increased. Adverse effects of esmolol include heart block, congestive heart failure and bronchoconstriction. Nicardipine is a dihydropyridine calcium antagonist which has been proven effective in treating patients with hypertensive crisis. This is administered intravenously as a continuous infusion starting at 5 mg per hour. The infusion rate can be titrated up by 2.5 mg per hour at intervals of 15-20 minutes until a maximum recommended infusion rate of 15 mg per hour is reached or until the desired reduction in blood pressure is obtained. Dosing of nicardipine is not dependent upon the patient’s weight. The ease of administration and a good correlation between plasma concentration and dose response of diastolic blood pressure leads to its popularity among physicians in the management of patients with hypertensive crisis. Hydralazine is a direct acting vasodilator and is reserved for pregnant patients with preeclampsia. Its major advantage is that it improves uterine blood flow. However its administration leads to reflex tachycardia, sodium and water retention and intense flushing. Phentolamine is less commonly used nowadays. It is a nonselective alpha-adrenergic agent and is usually used for cases of catecholamine crisis such as pheochromocytoma. Acute reduction in blood pressure will be observed within several minutes and may lasts for 30 minutes. Nitroprusside and labetalol are more easily titrated in the management of hypertensive patients with high circulating catecholamines, hence, phentolamine is rarely used therapeutically nowadays. Oral and sublingual nifedipine are potentially dangerous. Although given sublingually, this drug is poorly soluble and is not absorbed through buccal mucosa. This drug also causes sudden severe uncontrolled reductions in blood pressure which may result in cerebral, coronary and renal ischemic events to which its use has been discouraged. 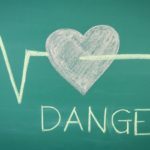 Angiotensin-converting enzyme inhibitors and clonidine are long acting drugs and poorly tiratable, but these drugs can be used in the management of hypertensive urgencies. As discussed above, hypertensive emergency is a medical emergency. Untreated high blood pressure can lead to death. Complications of malignant hypertension include aortic dissection, myocardial infarction/ischemia, heart failure, stroke, kidney failure, blindness, retinopathy, seizures, pulmonary edema, angina, intracerebral hemorrhage, subarachnoid hemorrhage, encephalopathy and coma.